Phil Lemos-- Karen Russell’s novel Swamplandia! is an imaginative tale about the Bigtree family’s attempts to keep the titular island theme park afloat after the death of the family matriarch/star alligator wrestler and the simultaneous opening of a rival park on the Florida mainland. Daughter Ava begins Swamplandia!, narrating the scene of the theme park in its heyday; it was not only the place to be in the Ten Thousand Islands chain off the coast of the Everglades, but in all of southwestern Florida. Meanwhile, oldest child Kiwi uncovers information that the theme park’s financial woes are worse than Chief Bigtree (the father) is letting on. Kiwi leaves Swamplandia! for the mainland, ostensibly for a scholarship opportunity. In reality, he’s leaving to work at rival World of Darkness. In the style of a bildungsroman, the novel alternates point of view between Ava and Kiwi. It also serves as a sort of national epic for Florida: the secluded island of Swamplandia! and the mainland’s Loomis County/World of Darkness respectively stand in for rural Old Florida and urban, cosmopolitan New Florida. With a great narrative voice and wild imagination, after reading Swamplandia! you’ll never see Florida, or alligator wrestling, the same way again. Shawna-Lee Perrin-- In Jhumpa Lahiri’s Interpreter of Maladies, a thread of isolation runs throughout the nine short stories; Lahiri bookends this collection with two couples handling their unique forms of isolation differently. In “A Temporary Matter,” Shoba and Shukumar are a married couple living nearly separate lives after a pregnancy that ended tragically. They didn’t heal as a couple, instead splintering and self-isolating. Lahiri deftly weaves the tale of a couple growing apart, and ultimately hurting each other deeply. Conversely, in “The Third and Final Continent,” Lahiri follows the relationship between an Indian man (the narrator) and woman (Mala) in an arranged marriage; it’s strained, because the narrator has already established his own life in Boston, but had to marry and move Mala with him from India to the US. Initially, the marriage is strange and foreign to them; but instead of the rift Shoba and Shukumar experienced from their shared trauma, Mala and the narrator grow to love and comfort each other, make a happy life together, and raise a family. 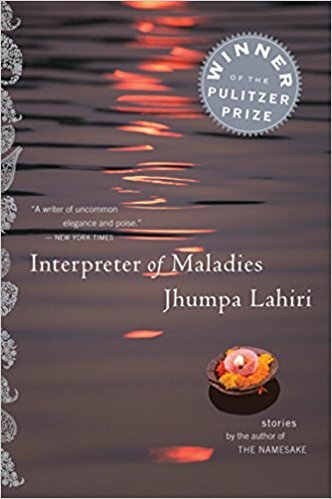 All of Interpreter of Maladies’ characters are either in unfamiliar environs, or unfamiliar emotional territory; it reminds us that the importance of compassion cannot be overemphasized.